TheQueen Mary ship is a museum and also a hotel now is located in Long Beach, California known for its grand size along with its number of rumored hauntings on the ship. According to Chavdar Chanev of the online articles RMS Queen Mary the Queen Mary has a twin sister ship named Queen Elizabeth which both were commissioned by the Navy to oppose the ocean liners built in Germany and France during the World War II period. The ship which was built and sailing in the 1930s was known to be bigger than the great Titanic. In 1967 the ship was withdrawn from service with thousands of transatlantic voyages then turned to a maritime museum and hotel located in Long Beach, California. During the ships time under ceased service during World War II gave shelter too over 800,000 troops and was known for carrying the most people ever on a floating vessel which was 16,683 according to Kathy Weiser from Legends of America. Along history The Queen Mary’s hotel guests had bad life ending accidents while staying on board which made the ship their last living place on earth. This would create a great amount of reporting’s from residents on board the ship of unexpected interaction with spirits during their time spent there. Information from Planet Paranormal portrays that the rumors of ghost are true because this source provides evidence such as audio and visual evidence that has been captured on the ship by investigators. Background information from Kathy Weiser on some of the ghosts that are still haunting the vessel that have been encountered is a little girl named Jackie who drowned in one of the second level pools during the ships sailing days and to this day her spirit refuses to move on. Other sightings such as in the ship’s first-class lounge, a beautiful young woman in an elegant white evening gown has often been seen dancing alone in the shadows of the corner of the room. Also while researchers who would investigate the lower part of the ship heard horrid screams and sounds of colliding ships. Further research from Tom Crawford of Ghost Source and Portal to the Paranormal provides insight that Queen Mary collided with a smaller British ship, the H.M.S. Curacao, causing the ship and its three hundred passengers to sink. Some investigators would say that the screams and hauntings are being created by the three hundred men who were killed. Many more sightings, accidents, and activity has happened along Queen Mary voyages. This is why it’s one of the top tourist attractions known today. Queen Mary pool Female voice say's "Mommy who ist it"? and then "mom or Bob." Weiser, Kathy. Ghosts of the Queen Mary in Long Beach. Legends of America, March 2013. http://www.legendsofamerica.com/ca-queenmary.html. The link above directs you to ghost investigations on board Queen Mary by Bob Davis and Brian Clune of PLPI. 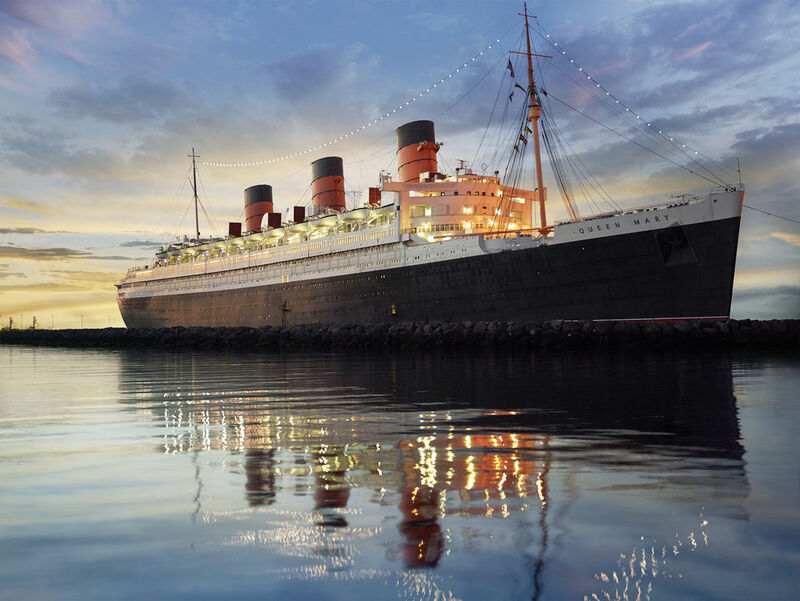 This link provides one of the first investigations of the Queen Mary accused hauntings. This link will allow you to receive further knowledge behind Queen Mary’s history throughout the world.